Amok Trey is freshwater fish in a spiced egg mousse. 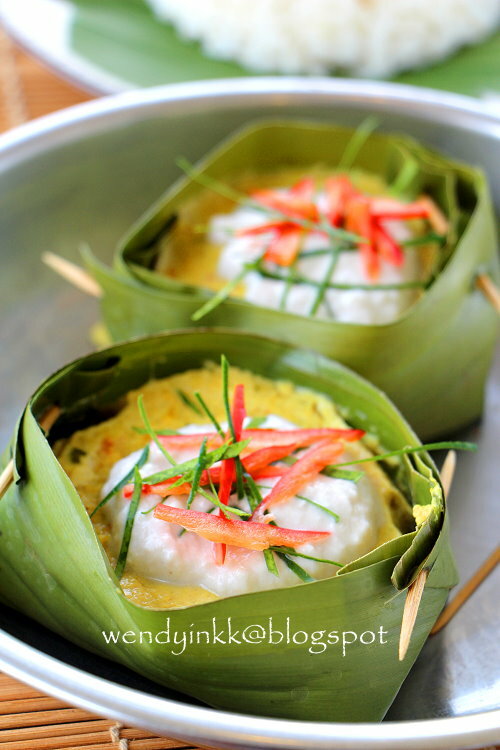 It is not too foreign to us, as it is similar to the local nyonya otak-otak, but quite different in many ways. One of the important ingredients in amok trey is again, prahok. You can substitute it with other ingredients like fish sauce or shrimp paste, but I personally find the flavour profile to be quite different. 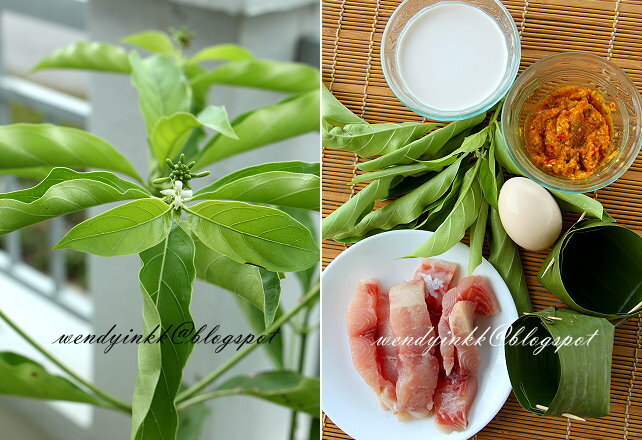 The other special ingredients used is fingerroot (krachai, temu kunci). When I found out that Noni leaves play an important part in this dish, giving it a great distinction from its cousins, I got into a shock as I attempted murder on my 'stray' noni plant just weeks ago. I went to check on it, and it didn't die, but trying to stay strong by growing more leaves. Hehehe, leaves for me to pluck! Thank you dear Noni. But then again.... I have no use for it after this dish and I am wanting to get rid of it again. It's very hardy! I used young noni leaves and they were slightly bitter after cooking, although my bittergourd loving MIL said it was bitter, and me, the bitter hater found it OK. It's weird isn't it? I can accept it and she can't. And so, I think it's a personal thing, up to the individual whether the noni leaf is slightly bitter or very bitter or plainly not bitter. Anyway... I'm glad I tried it. 1. 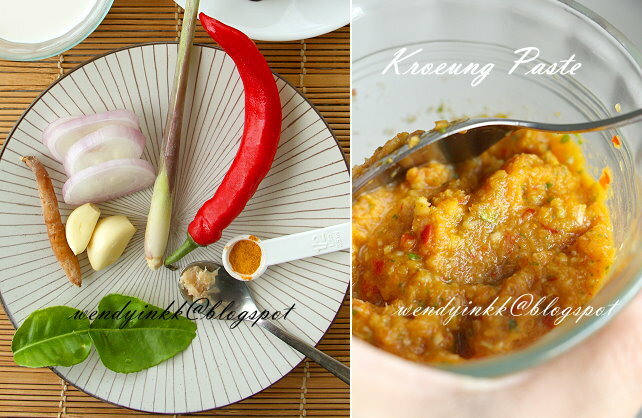 Prepare the kroeung by grinding all the ingredients together. 2. 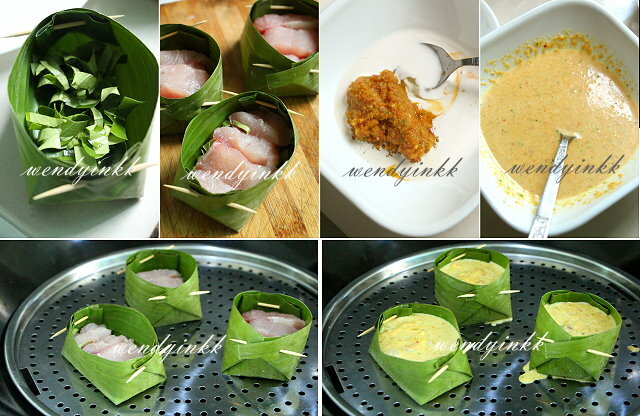 Prepare the banana leaf cups. 3. Prepare your steamer. Bring sufficient water in the steamer to boil. 4. 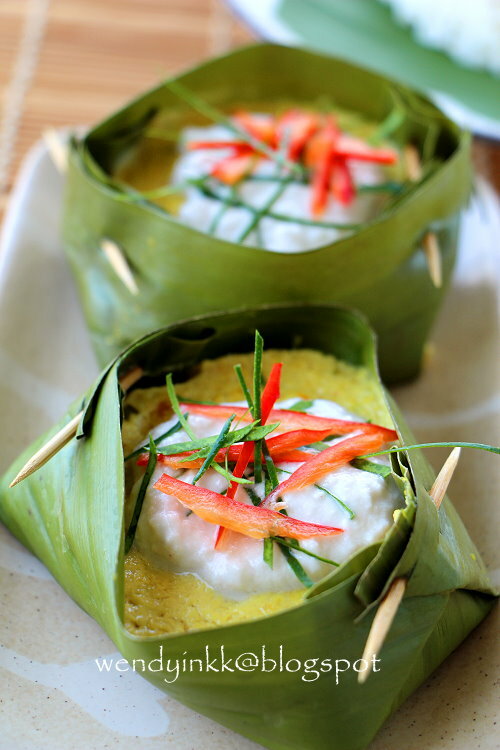 Put some shredded noni leaf into the banana cups and arrange some fish pieces over the noni leaf. 5. Mix the kroeung with all the ingredients for mousse. 6. 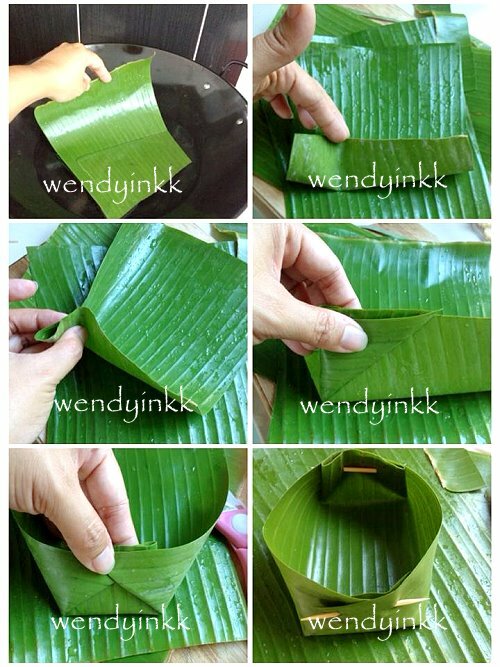 When water has boiled, put the banana leaf cups onto the steamer. 7. Pour the spiced mousse mixture the fish. 8. Cover and steam for around 8 minutes. 10. 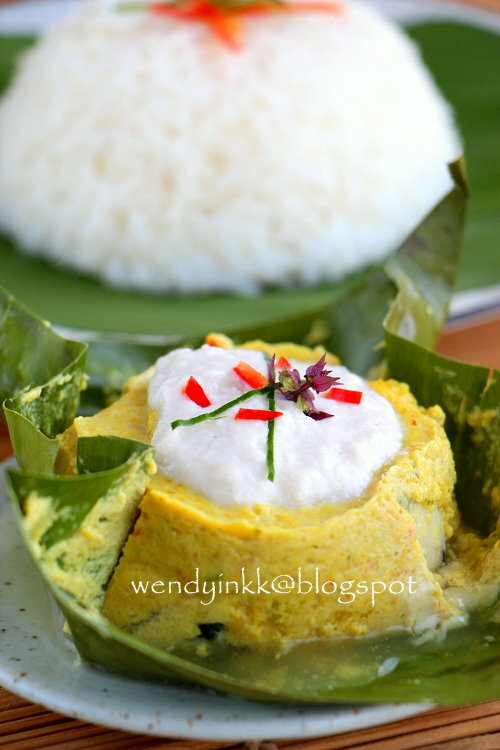 Spoon the thickened coconut milk over the cooked amok. Garnish with kaffir lime leaf and sliced chilli.